The dynamic difference at Ecola is our focus, which is to help students build a strong foundation for life (Luke 6:46-49). Ecola offers students an exciting way to study and apply the Bible. Each week brings two new instructors and two new subjects. Each instructor is encouraged to make their lessons very practical and to show how the teaching applies to today’s living. Call Ecola today and Get a Foundation! Our mission at Ecola is to equip our students for the many challenges of the Christian life by helping them to build strong spiritual foundations, rooted in an understanding of God’s Word. We carry out this mission in a single year with an intensive but practical course of study that focuses on the spiritual formation that is essential for a successful and exciting walk with Christ. Students who finish the program and receive their diploma, will have substantially advanced their knowledge of God, the Holy Bible, and Christian doctrine, through about 500 classroom hours of focused study. All classes are lecture-style, with the entire student body in attendance at each session. Every week, two new subjects are taught by two new instructors. These subjects each fit into the larger courses that make up the program. For example, Christian Doctrine, is a course that is composed of classes on God the Father, Soteriology, Ecclesiology, God the Son, The Holy Spirit, and Eschatology. The subjects in these courses are taken non-sequentially, which allows for a great deal of variety in the material covered from week to week. Typically, there are ten classroom hours for each subject covered, totaling around 20 classroom hours per week. 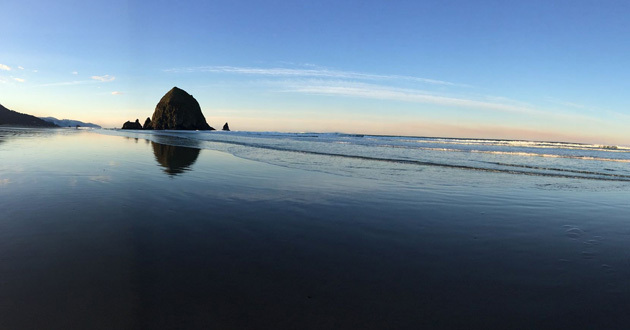 The year at Ecola consists of three terms, Fall, Winter, and Spring, which are nine, eight, and seven weeks long respectively. Students may take the terms in any order and even over several years. When all three terms have been finished, the course of study will be complete and the student will graduate. The cost to attend Ecola varies based on the student’s financial aid and the meal plan chosen. For 2015-2016, the average cost of attending is about $8,500. See the website for specific cost details, meal plan descriptions, deposits, and additional fees. Ecola Bible School strives to provide a doctrinally sound, high quality Biblical education at a cost that should prohibit no one. To that end, we work to keep overall student costs as low as possible. We also offer a number of financial aid options that can significantly reduce the cost of attendance. Check out all of the options on Financial Aid on our website.